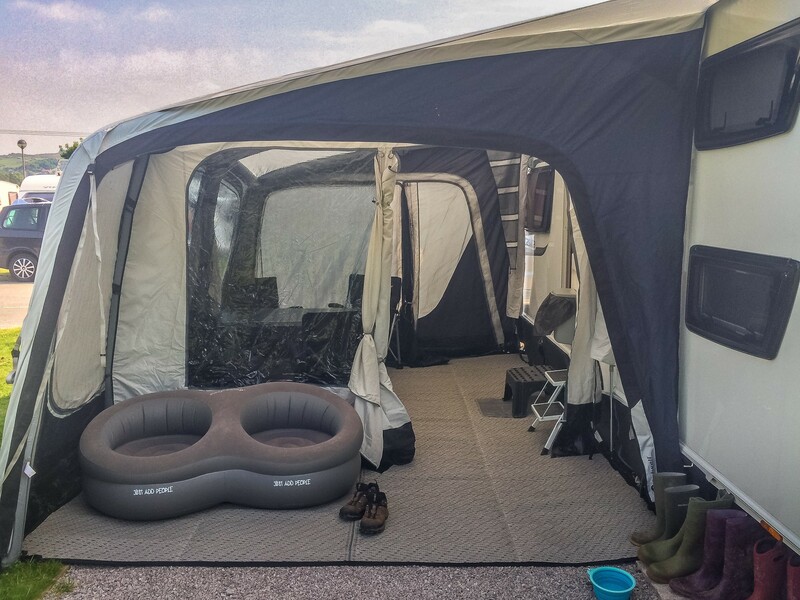 This year, we changed our awning to the Outwell Tide, another inflatable awning that has made a huge difference to our caravanning. But to take the stress out of it further, it was time to look for an awning that’s a bit smaller, but still big enough for our family. The caravan awning we’ve got is the Outwell Tide 440SA. The SA stands for ‘Smart Air’, similar to one of our tents, the Outwell Montana 6SA. Just like our previous awning from Vango, it is inflatable. So, no messing about with poles, but potentially a few other things you need to consider (more on that later). 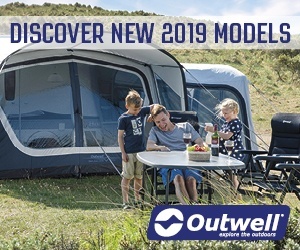 When I first saw the new range of caravan awnings from Outwell, I really liked them. The Outwell Tide Awning fitted to our caravan. It looks much more like a caravan awning than a tent, but with a modern design than some of the more traditional awnings. These Outwell’s caravan awnings look like a very modern version of a caravan awning, and not like a tent. 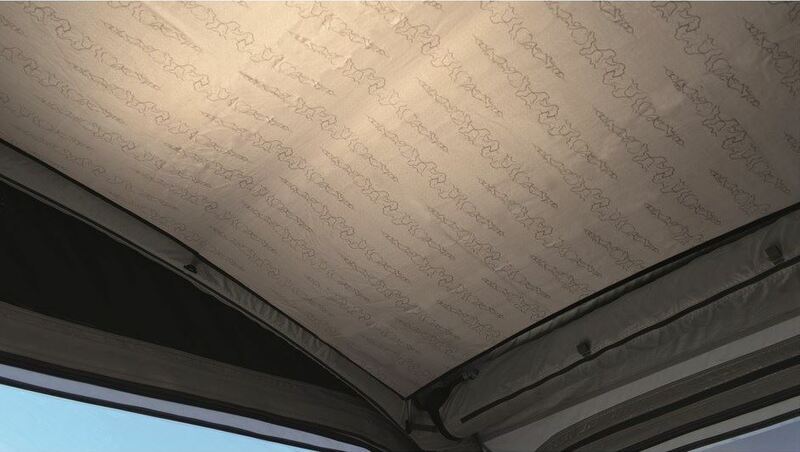 They complement your caravan’s shape and provide the space you get in a traditional caravan awning. Plus, they were light and airy, whereas the colours on our previous awning made it rather dark inside. 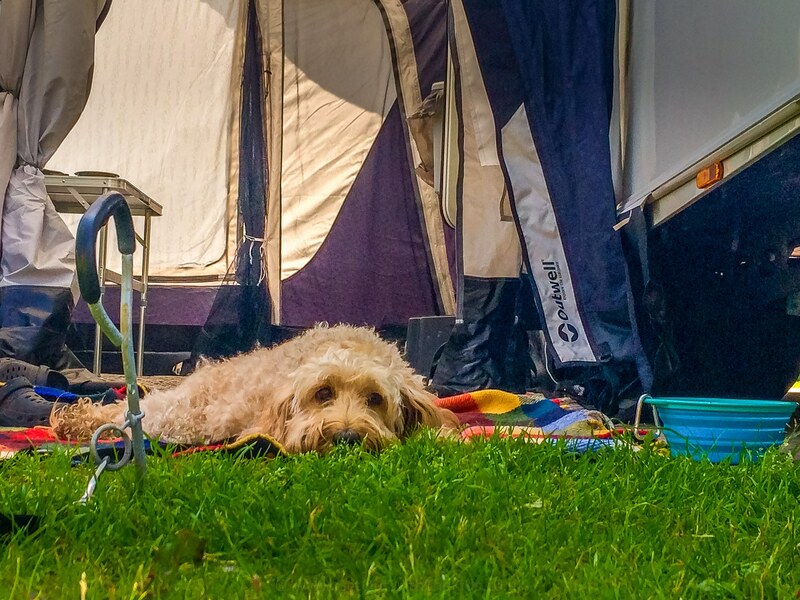 The first time we used the caravan awning was during April in our visit to the Cheddar Mendip Heights campsite. And it was wet! 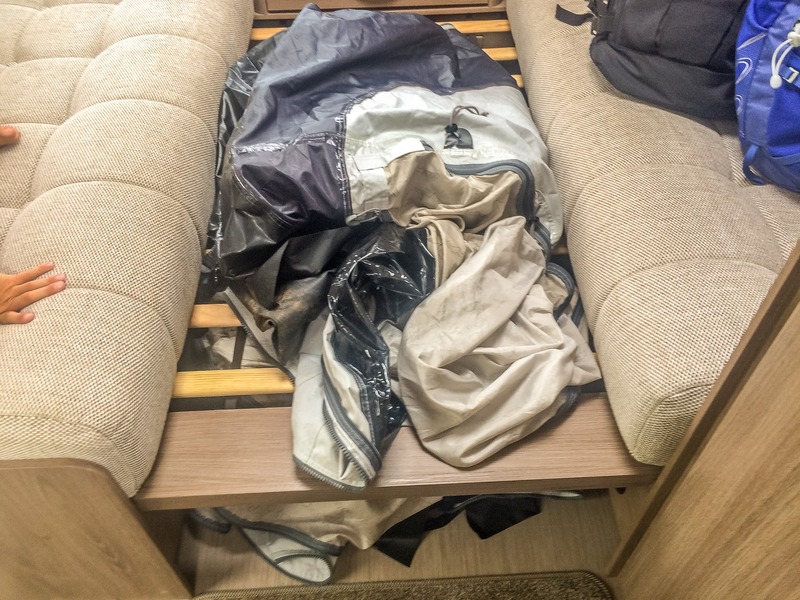 Thankfully, the Outwell Tide 440SA fits in our caravan better than our previous awning. It also is easier to fit through the door of our caravan. However, we still can’t fit it into the large under-seat storage. It just doesn’t quite fit. 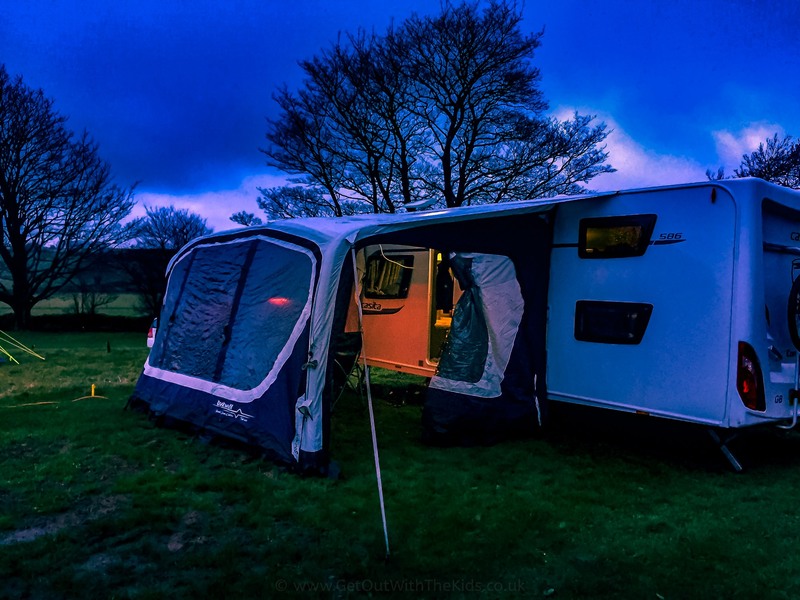 Where do you store your caravan awning in your van? Our first inflation of the awning was going to be a breeze, since we had an Outwell Wind Gust electric tent pump. It was also pouring down with rain! First inflation of the Outwell Tide Awning…in the rain! Unfortunately, I didn’t notice a couple of open valves on the inside of the awning! Once they were closed, the Awning popped up in no item. Although the awning felt smaller in its bag than our previous one, when it was inflated, we were pleased to find we had plenty of space, and it felt no smaller than our last awning. I think this is also due to the fact that this awning didn’t have sloping sides, providing much more usable space. We could easily fit a large table with four good sized chairs and still have plenty of room. Roll on a number of months and we’re enjoying the 2018 heatwave, and have a few additions to our awning that just makes it a perfect set-up for us. 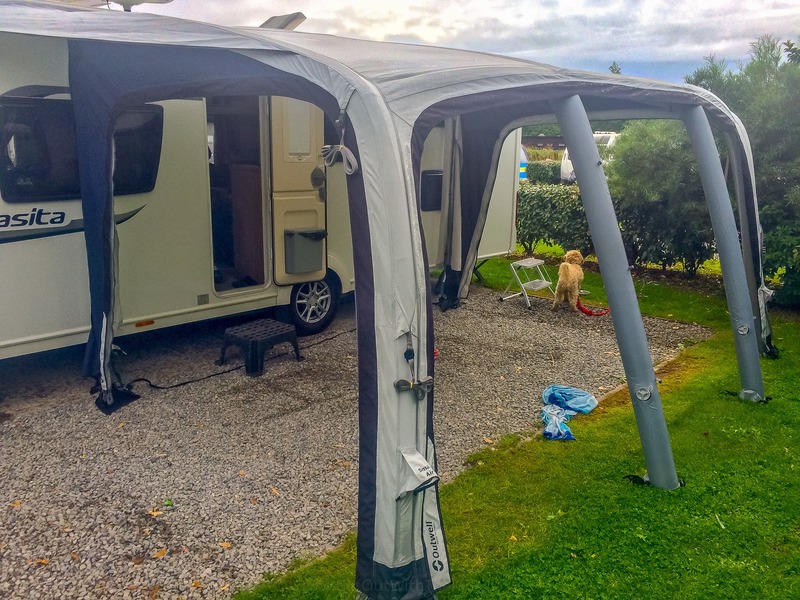 Here’s an update video on our awning when we stayed at Presthaven touring park. A new accessory we’ve got is the awning carpet. This has made a huge difference to the awning, making it feel much more like an extension of the caravan. We like the light and space of this awning. And with the carpet, makes it feel much more homely. Another optional extra we got is the awning partition wall. This simply clips onto the awning and allows you to create a separate space at either end of the awning – although they are designed to fit either one side or the other, so work out which side you want the partition before ordering one. We usually enter and exit towards the front of the caravan on pitches, and so we got the partition for that side. However, in these photos, we swapped it to the other side to avoid walking out onto the road. It makes no real difference in good weather; one side has more waterproofing on the partition than the other. In the set-up here, our curtains are on the outside of the partition! By unzipping the entire end of the awning, the divider helps create a porch. This layout works really well for us and provides somewhere sheltered to sit, and a place to take (and leave) wet clothes and shoes. You can also use the divider to create a bedroom in the awning (where the campsite allows it). The divided space is more than big enough for a camp bed and cupboard, and would be much bigger and better than the bedroom annex we had on our previous awning. Despite having this divider in the awning, we still had plenty of usable space. 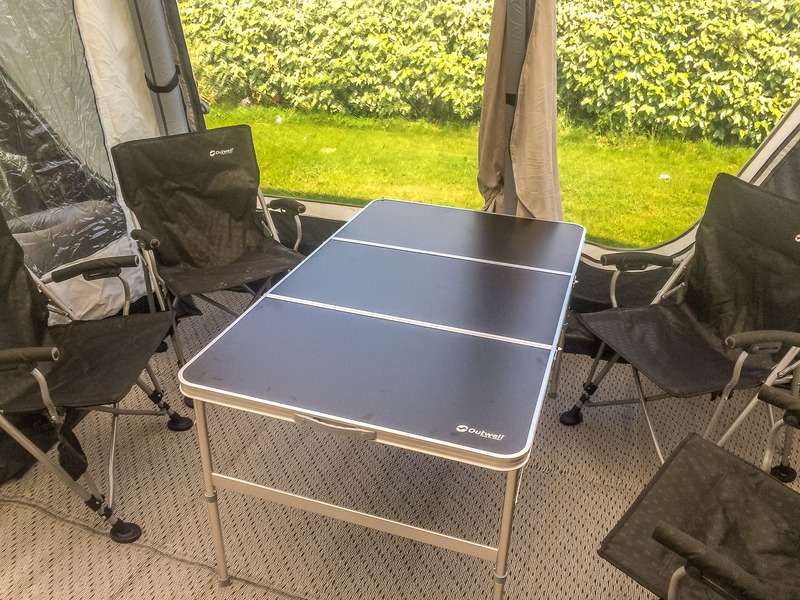 Here you can see that there’s plenty of space for the large table (an Outwell Colinas L) and chairs (four Outwell Campo chairs), even with the divider attached. A more recent addition we got for the awning is a roof lining. The roof lining is meant to provide a bit more insulation in the colder months. We’ve not tried this yet with all the hot weather we’ve been having, so we’ll attach it in the autumn. This isn’t part of the Outwell Tide Awning, but it’s something that worked well in the awning in the cooler months: the Outwell Fuji heater. 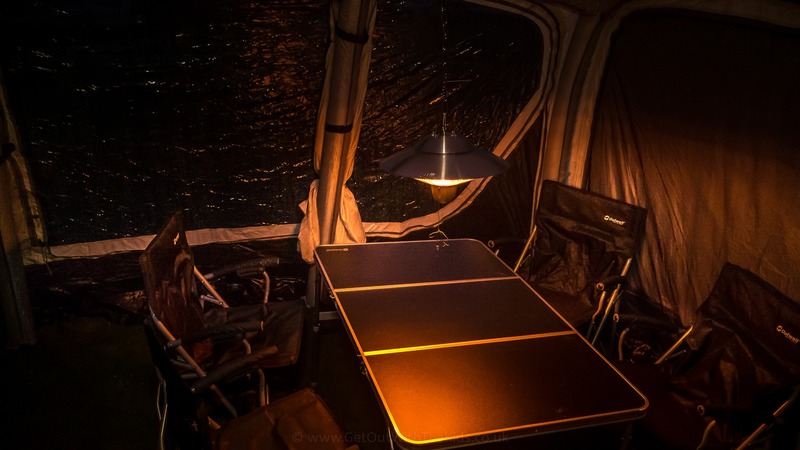 The Fuji is a halogen heater, and can warm your awning in colder weather. You hang it like a lamp. As you can see, it also puts out a nice warm glow. This heater is not that heavy, and the awning could take the weight of it. There’s also not much heat coming off the top of the Fuji, and so it wasn’t a worry when hanging in the awning. And for the warmer weather? Finally, another accessory (again, not to do with the awning) that we’ve found surprisingly useful is this Outwell Drying Rack. We’ve had our caravan for three years now and have used inflatbale awnings throughout this time. 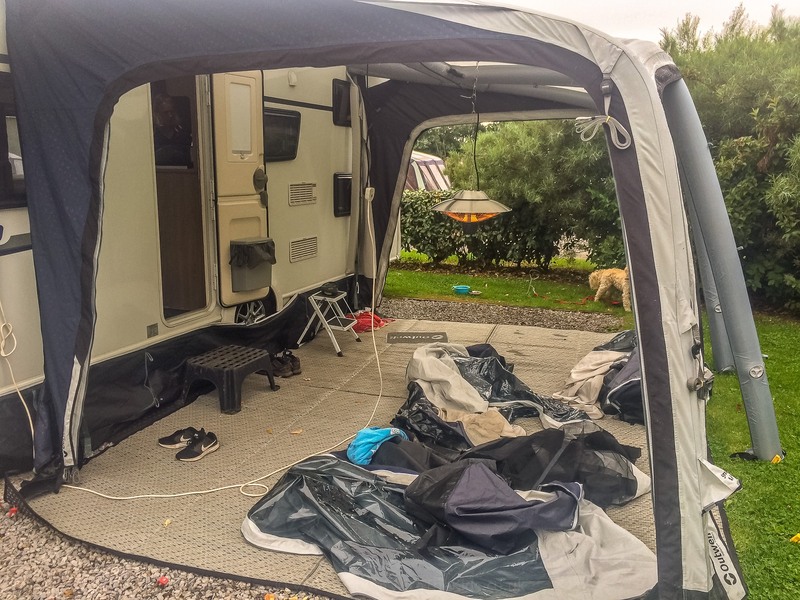 Having an inflatable awning should save you pitching time, but I think they can be a bit more bulky to store in your caravan than a traditional awning, where you can store the frame separate to the cover. Plus, since inflatable awnings have their covers attached, the interior of your awning drapes in the mud while it inflates. With poled awnings you only get the awning cover out when the frame is fitted, and so this isn’t as much of a problem. I think we might start unzipping some of the side panels and then re-attaching them afterwards (as Outwell mention in this video). 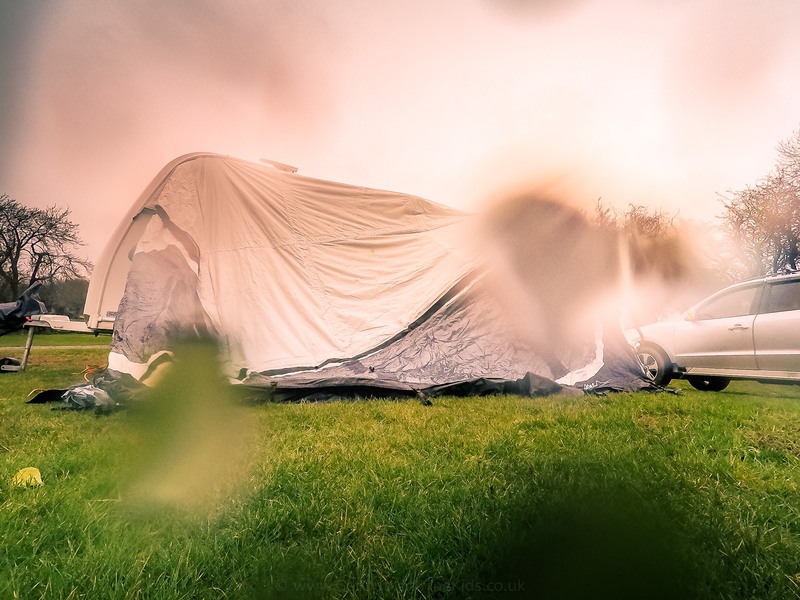 This should make pitching easier, storage easier, and avoids getting them muddy when the weather is bad, and makes it similar to pitch as a traditional awning, but without having to spend time putting up the poled frame. We’ve done just that. Removing the sides of the awning makes it much smaller to store, and very light to put up. With the sides unzipped the Outwell Tide awning is much smaller to put away. This set-up is perfect of the hot weather. You can also have the ends open but still with a bug mesh on.  Where to put the wet awning in the caravan! If it is dry the day before we go, we normally get the awning down then. It’s a lot easier than trying to dry out the awning at home. However, we have been caught out by the rain. Fortunately, removing the sides of the Outwell Tide makes it easier to dry. We unzipped all the sides, and dried them under the awning using the towel and the heater. I then made an drying rack in the caravan with the bed slats, which is also where the caravan’s fan heater is. I’m sure this wasn’t part of the caravan’s design, but it worked well! 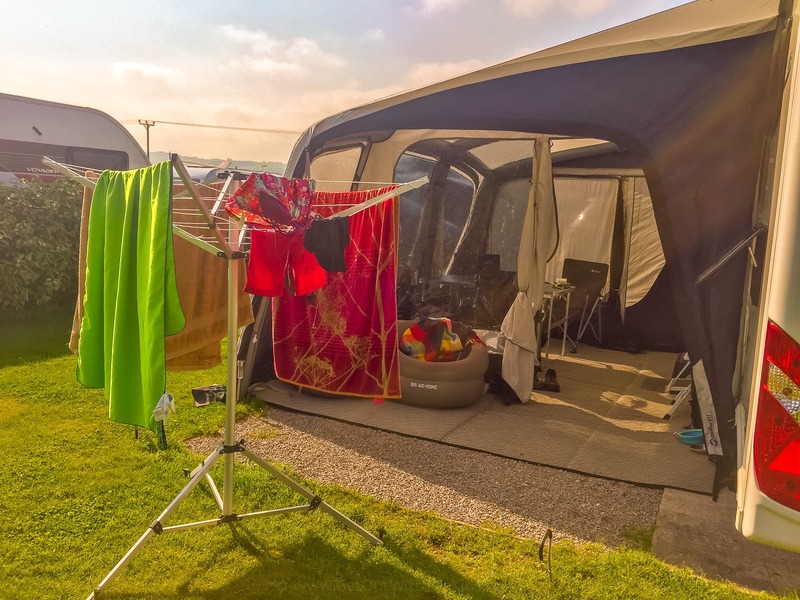 To finish them off, I improvised a drying rack in the caravan while we were still connected to the EHU. With these changes we’re loving having an awning again, though if we’re just stopping one night, we generally don’t bother putting an awning up. Perhaps with more practice, we’ll get even better at it so it’s not a problem for even just one night. For us, the Outwell Tide awning has been a big success. It get’s the thumbs up from us. Disclaimer & Thanks: A big thank you to Outwell who sent us over this Tide Awning and accessories that we requested to review. All opinions are our own. 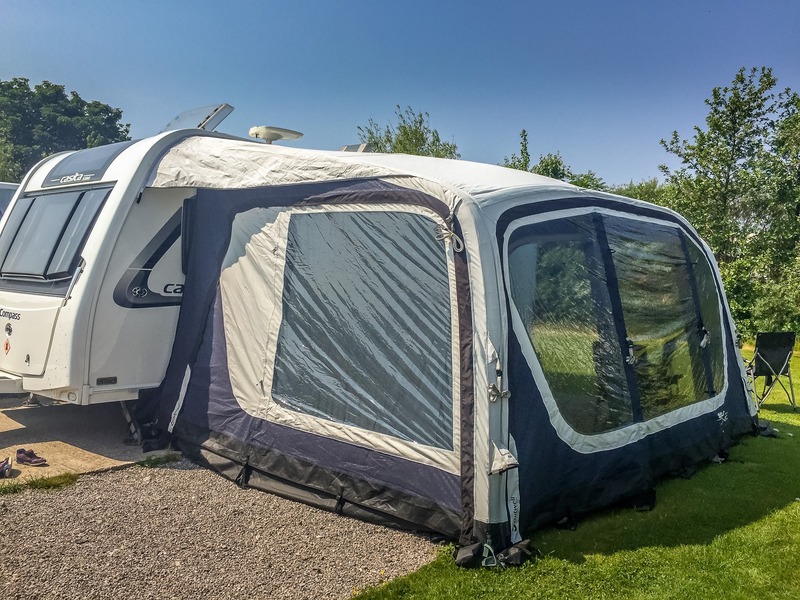 Getting the Outwell Tide has made us fall in love with caravan awnings again. 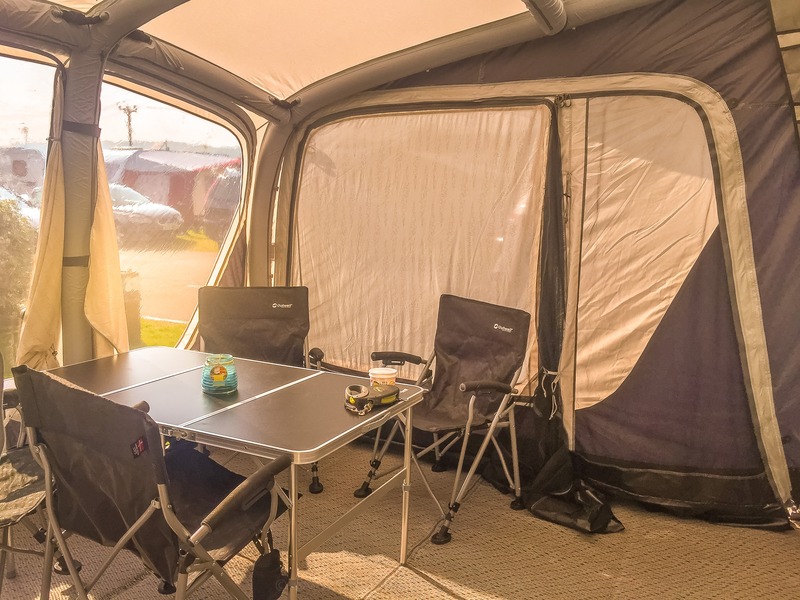 The Outwell Tide is a great looking awning, with plenty of light, and plenty of space.